Flat design flat user interface kits with a huge amounts of web elements for graphic designers. Flat UI Kits was designed to help you design complete websites in Photoshop easily in few minutes. All Kits are fully layered and grouped and well organized PSD format. So it’s easy to modify and customize everything. All elements are easy to resize and change colors. Here is the list of Flat Design UI Kits which are playing a very important role in interface designing. Flat design involves a lot of creativity, inspiration and motivation along with the people-skills necessary to communicate effectively with clients. 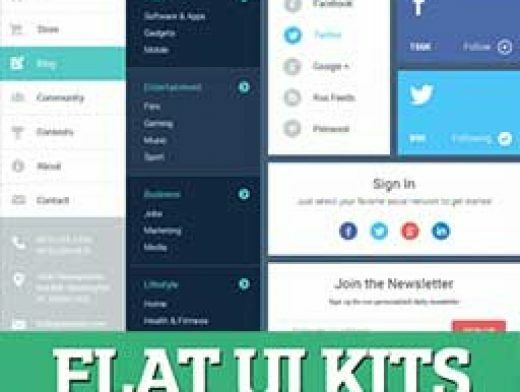 In this roundup you can find Flat UI kits and flat elements for Web and Mobile App UI Design.